I'm writing a short story based on Snow White. My research tells me the story took place during the late 16th century. The timeline of my story coincides with the Protestant Reformation. I am wondering if the proper setting of my story should be in a castle. The father of my main character's title is only Prince since in the timeline the Emperor/King is still Charles V like in our history. Based on this would a castle be the proper setting for this story? Definitely yes - provided your story is set prior to the widespread destruction of the castles that began about the time of the Thirty Years War (1618-1648). 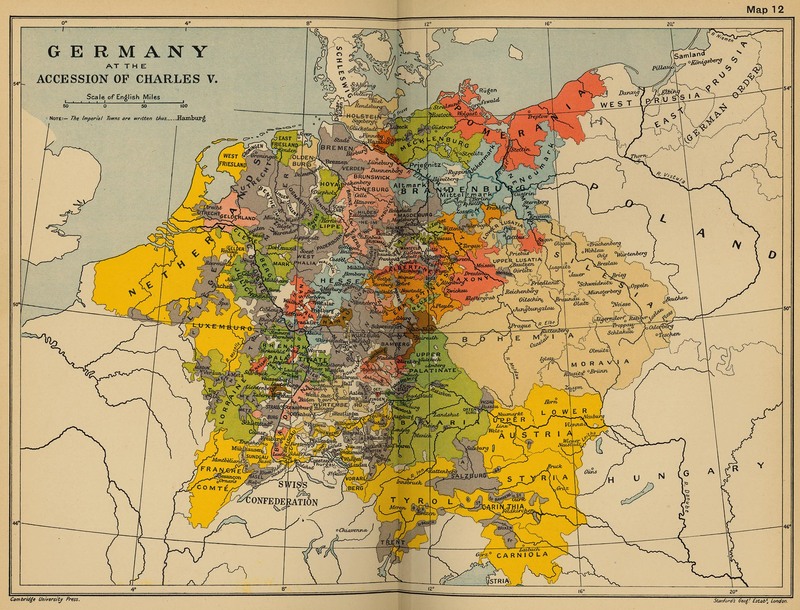 The widespread practice of a form of Partible Inheritance in Germany (In German Ganerbschaft) resulted in the widespread fragmentationn of the original stem duchies by the time of Charles V accession in 1520. As an example, my answer to Why was William III of England referred to as the British-Batavian Nassau? notes that, at the end of the 17th century, there were ten distinct sovereign princes of the House of Nassau. Note that these families often inbred in attempts to re-unify through marriage the original stem duchy (see Habsburg Jaw and Charles II of Spain); and that the related families frequently lived very near each other in consequence. Markgraf (Margrave) and Landgraf (Landgrave) - equal precedence to Marquess, though on the Continent the former seems to have greater precedence than the latter. Graf - equal precedence as an English Earl or Continental Count. Although it is clearly not an historical reference, in many ways Hogwarts Castle from the Harry Potter books functions as a Ganerbenburg Castle split amongst the four school houses. A story about a German prince can take place in a castle if the fictional time elapsed in the story is short enough for the prince and his court to stay at one place. Remember that the King of England had a main palace, Westminster Palace, in the suburbs of his capital city London. Westminster Palace was used by the court from 1049 to 1512, when the royal living areas burned down. King Henry VIII acquired York Place nearby in 1534 and turned it into the main royal Palace of Whitehall. The king also had a residence, fortress, and prison in the city itself, The Tower of London. And the King owned many other palaces, manors, castles, and country estates near London and father away in the kingdom, Windsor Castle is the most famous, and the king and his court traveled a lot from place to place. Part of the reason why the court moved around so much was they tended to use up a lot of food, grass, wood, water, and other resources and so had to move whenever the resources in one area were temporarily exhausted. For many centuries the main french royal palace was the Palais de la Cite in Paris, but King Charles V decided in 1364 to make the main royal residence farther from the city center, and for centuries the main royal court in Paris moved between places like the Hotel Saint-Pol, the Louvre, the Hotel des Tournelles, etc., and eventually to the Tuileries Palace built beginning in 1564. During the 16th century time frame of your story the French royal court spent a lot of time in various royal chateaux in the Loire Valley, including the Chateau d'Amboise, the Chateau de Blois, and the Chateau de Chambord. 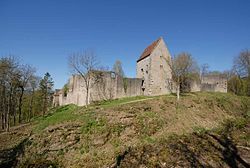 And since the high nobles and princes in Germany lived like kings of little kingdoms, they and their courts would often move from one manor, castle, or palace to another one. So if your story takes place over a few days, setting it in a castle of a prince is fine, so long as nobody states that it is the only castle of the prince. But if your story takes place over months, years, or decades, the idea that the prince's court is permanently located in one single castle becomes much less probable. Not the answer you're looking for? 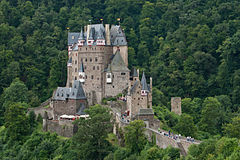 Browse other questions tagged germany 16th-century holy-roman-empire nobility castles or ask your own question. Did any commoners become prince-electors during the Holy Roman Empire?